The journey bar is the centrepeice of your online profile. It simplifies the registration process and makes it easy to stay on top of your agency career requirements by showing you what needs your attention. You can click through to sections from the bar, making it easy to navigate and keep everything up to date. Your profile percentage is also shown, giving you an indication of how far through your profile you are. The aim is 100%, though that's not required to get you out to work, so speak to your recruitment consultant for guidance on the important bits! Wouldn’t it be nice to fill in your timesheet on your phone? 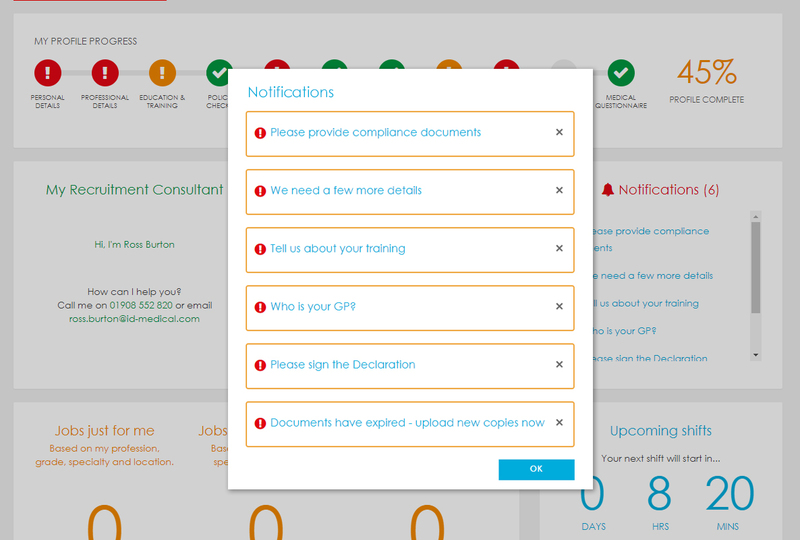 From your profile, you can fill in and submit timesheets easily from any device. Filling in your timesheet digitally also reduces the risk of rejection, thanks to the digital font. 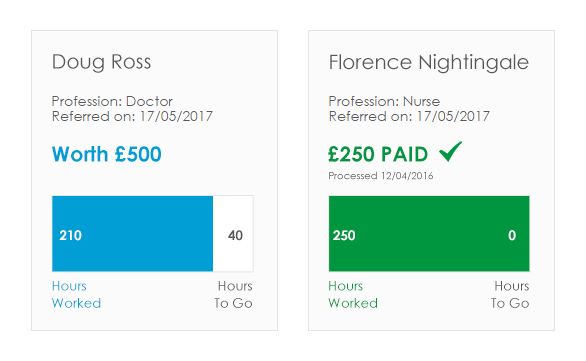 You can also see all your outstanding timesheets, and even track timesheet activity from the moment you upload it right through to when you’ve been paid. 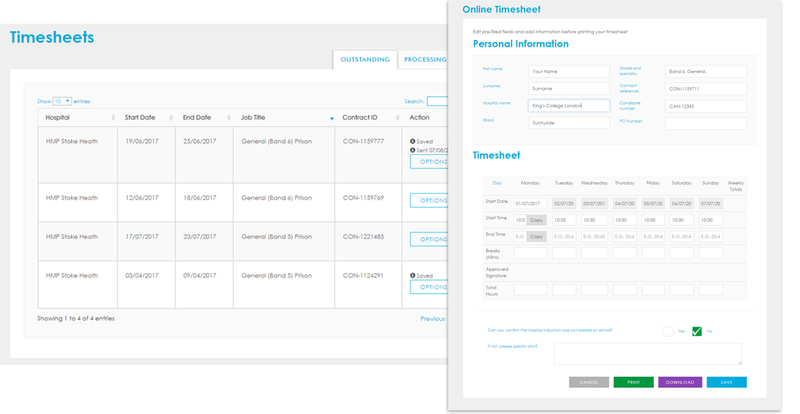 We want to make keeping track of your timesheets to be as painless as possible, and your online profile does just that. We want to offer you shifts that fit in with your schedule. Now you can keep us up to date on your calendar with a few clicks. Simply select a day and let us know if you’re available (or not!). 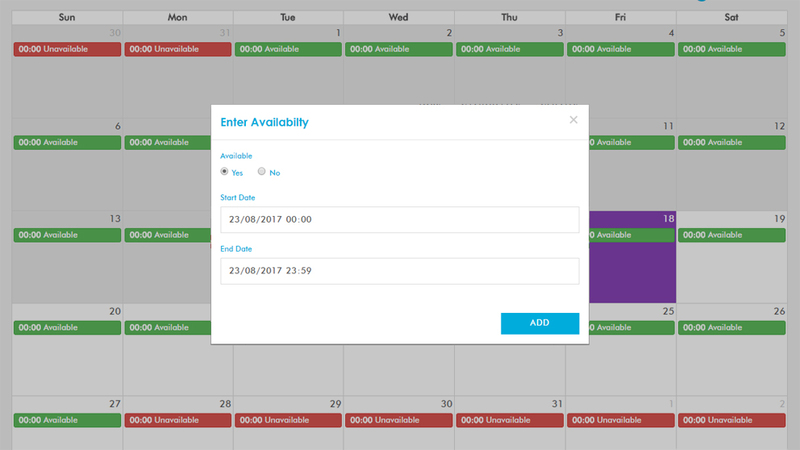 You can even add shifts with other agencies to keep your schedule organised in one place. The best part? Your recruitment consultant can compare available shifts with your calendar before getting in touch with you – saving you time. What's more, your confirmed shifts will also display on the calendar, so from a single view you can quickly see when and where you're working. Applying for jobs on the ID Medical website is easier, too. When you're logged in you can apply with just one-click! No CV upload or filling in a form each time. You can even apply for multiple jobs in one go! Simply save them into your favourites and click 'Apply to all'. A powerful set of search filters allows you to narrow down your job search as much or as little as you want, while different views, including map view, allows you to see results how you want. It couldn't be easier! 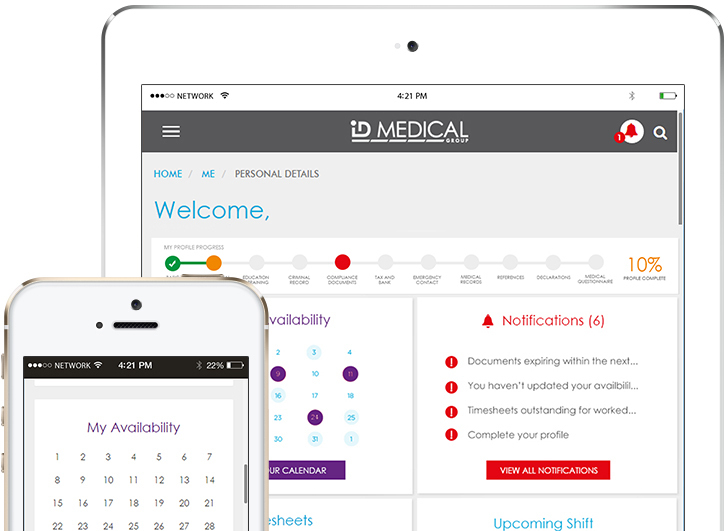 Keep track of all of your ID Medical shifts, whether in the past or future. A log shows you where and when you’ve previously worked with us, while a countdown timer reminds you when your next shift starts and where it is, giving you time to prepare for it. Chasing down payment for referrals is frustrating. Thanks to your new profile, that’s a thing of the past. 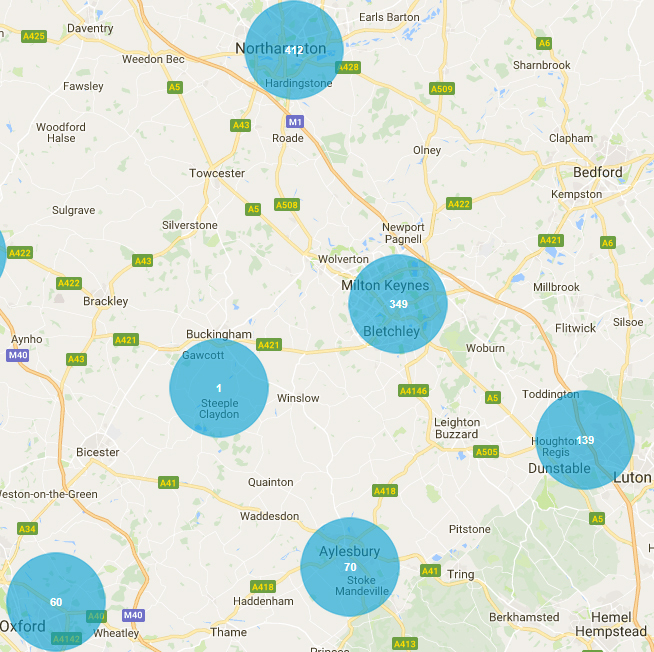 From your dashboard, you can see all of your referrals, what they can earn you and progress of how many hours they have worked. It all happens automatically, right down to payment. Submit new referrals is quick and easy. Either use the online form, or for ultimate convenience and speed simply share your personal referral link with friends and colleagues - or on social media - and everyone who registers with us by clicking your link automatically becomes your referral! Your online profile keeps track and remembers everything for you, so you don't have to! It will remind you when documents are expiring or when other information or action is needed from you. When you log in you will see all notifications of outstanding action, plus you will get notified by email, ensuring you never miss a beat. Already registered, but not logged in? Don’t forget that your email address is your username and you can set your password here. If you are already registered with us, then you already have an online profile and can log in straight away. Your username is the email address registered with us. If you do not know your password, simply request your password, then away you go! Login to your profile today using the email address you registered with us and take control of your agency career like never before. If you're not registered yet, then register today and start experiencing the ID Medical difference.